At an altitude of 3000 mts. above sea level and 87 km from Srinagar. 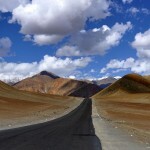 The drive to Sonamarg is through yet another spectacular facet of countryside in Kashmir. 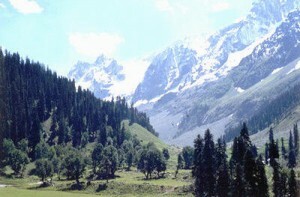 Sonamarg, which means ‘meadow of gold’, has as its backdrop, snowy mountains against a cerulean sky. 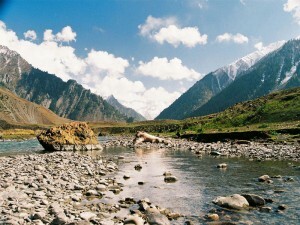 It is the starting point of a major trek passing several mountain lakes – Vishansar, Kishansar, Gadsar, Satsar and Gangabal. One trek leads all the way to Amarnath Cave. Sonamarg is the last halt on the Kashmir side for the drive from Srinagar to Leh. This entry was posted in Jammu & Kashmir, Sonamarg and tagged information on kashmir, j & k, kashmir information, kashmir tourism, leh ladakh, sonamarg weather. Bookmark the permalink.